Utile was RMJM’s urban design and retail consultant for the first-phase implementation of an ambitious development in Dubai. As part of their role, Utile developed a range of building types for all of the project’s multifamily residential program, which comprises more than 75% of the master plan. 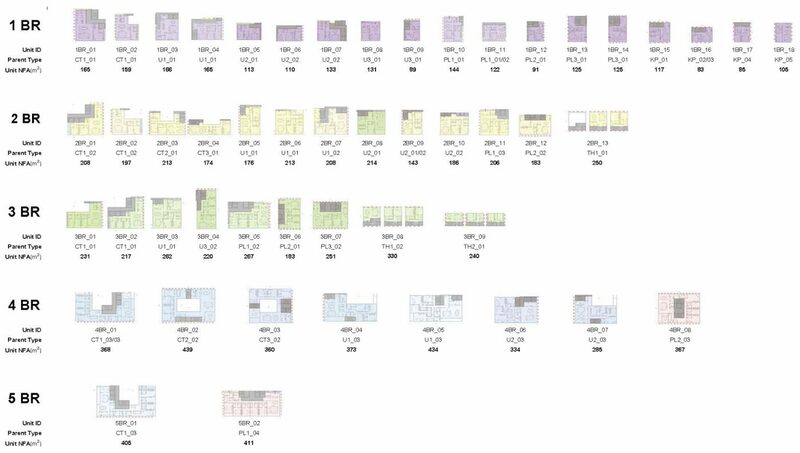 Nine residential types and two kit-of-parts modules were advanced as a way to control information management of the design, programming, and marketing of the project. 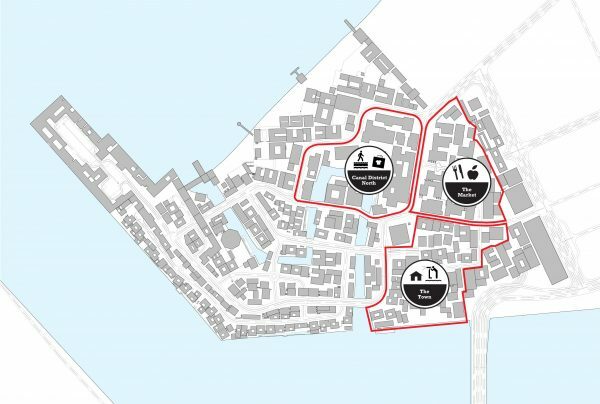 The types fit within the plots established by the master plan and address the light and air issues posed by a plan predicated on the density of a historical city. 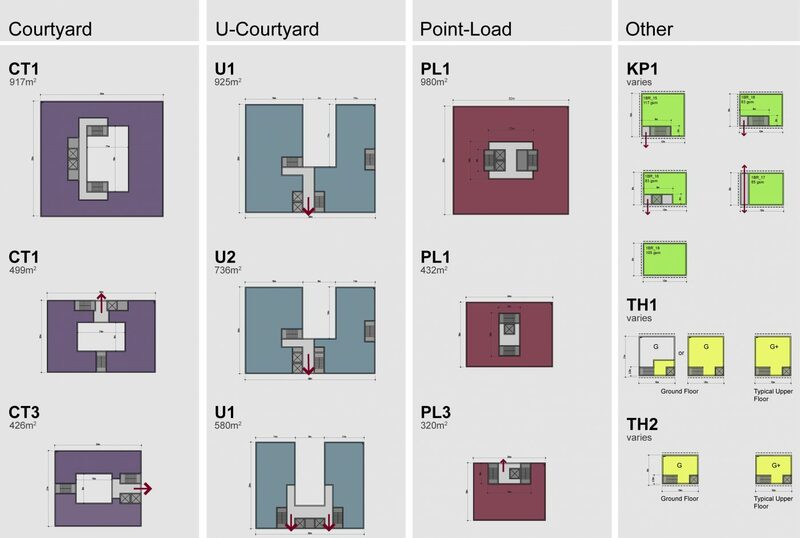 The prototypes, designed as core-and-shell buildings, allow for a range of unit sizes, even within each building type category. 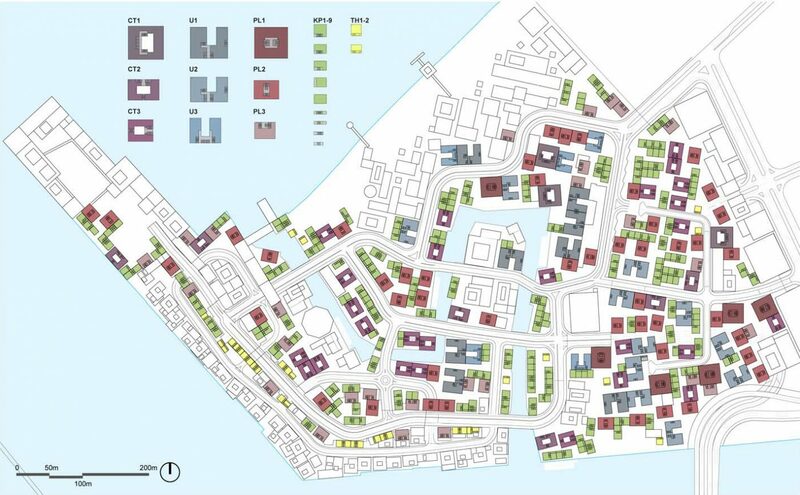 Unit designs—ranging from small one-bedroom flats up to five-bedroom, multilevel residences—were tested for each type to ensure that the buildings yield a flexible range of marketable residential units. 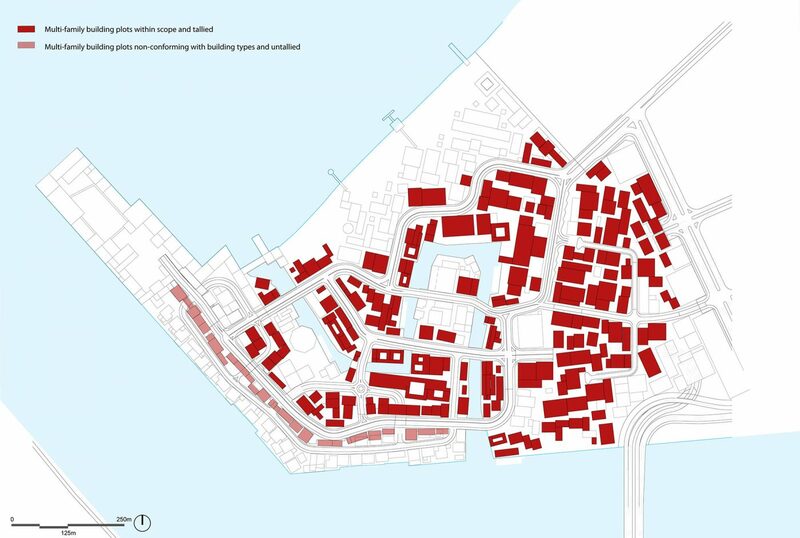 The units maximize external exposure, views, and cross-ventilation within the limitations of the dense urbanism dictated by the master plan. Each unit has a balcony and at least one window wall facing the public realm, often with secondary exposures to semiprivate courtyards. Units were also configured to create a high degree of privacy for the family/bedroom zone.